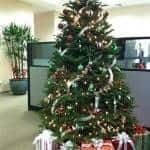 However, there is a dark side to the holiday season that we are all too familiar with − the toll it can take on our health. With all the festivities, this time of year is notorious for having no shortage of sweets, everywhere you turn. Walking by that table of cookies at your office without grabbing one up is likely going to be one of the hardest challenges you’re faced with this year. And sweets aren’t the only problem. All of the rich and starchy foods found in mass this time of year, coupled with dessert, causes Americans (on average) to gain at least one pound during the holidays. This may seem insignificant, but that pound is usually a permanent pound that adds up year-after-year of indulgent holiday meals. 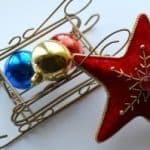 While you will likely face the same food challenges every year (turning down that second helping of pie is just one of them), below are some ways you can combat the biggest holiday health problems every year. Many people make the mistake of holding off on eating all day until they get to a holiday party so they can truly indulge. 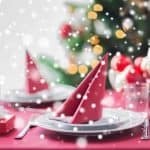 However, by not eating until later in the day, your body is starving for nutrients, and this may leave you bingeing on even more food than you planned − and, given that this is a holiday party, it is likely food that is far from healthy. To help avoid this, enjoy some small, light snacks throughout the day so you are not compelled to go in for seconds and thirds at your party. Instead, arrive at the holiday party with your appetite satisfied, but with still a little room to try some of your favorite foods without overindulging. Have you ever opened a bag of chips while watching a television show, and then realized the bag was empty by the end of the show? Well when you do this kind of mindless snacking, it can end up taking a toll on your waistline. To avoid finding yourself in this situation, take time to sit down and enjoy your meals. Whether that means at home, or in a warm and comfortable restaurant, keep your mind active while you eat. Cafesano is well-known for its warm and inviting atmosphere that creates the perfect place to enjoy a meal. 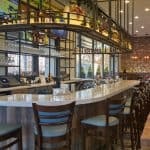 And with two locations − a Dulles Town Center restaurant, as well as a restaurant in Reston, relaxing and enjoyable eating is just around the corner. Allow yourself 30-45 minutes to consume your meal. Any less time than that, and you’ll know you’re eating too fast. By taking these small conscious actions, you can keep your brain and your stomach in check so you don’t end up eating more than your body needs. 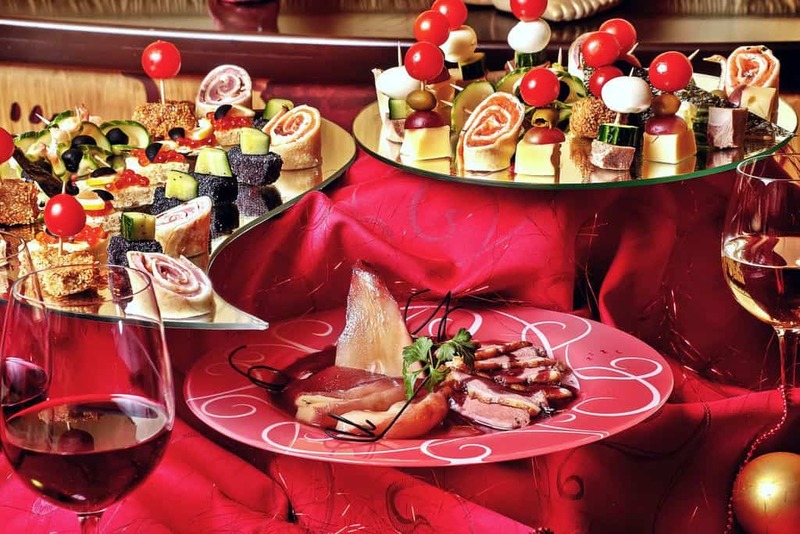 Many people show up as a guest to a holiday gathering only to realize that most of the food is rather rich and unhealthy. This is one of the biggest challenges for people trying to stay healthy during the holidays. But, because you don’t want to have to sit the party out, why not bring a healthy dish with you? That way, you can eat something lighter without feeling the need to overindulge in the other unhealthy food options, and still get to enjoy the fabulous party. Cafesano makes this incredibly easy for you. With our vast take-out menu options, you’re sure to find something for the party that is nutritious, and a hit with others. 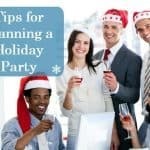 Throwing a holiday party sounded like a great idea a few months ago, but now, with a never-ending to-do list, you’re starting to wonder what you were thinking. Of course you’re excited about the opportunity to host your friends and family, but you also have no idea how you’re going to find time to prepare food that will give them some healthy, filling, and tasty options. Well, you’re in luck. The catering in Reston, as well as Dulles Town Center, that Cafesano offers will be a definite hit at your party. 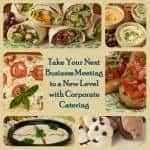 From Grilled Chicken Pesto Paninis to Beef Shawarma Wraps; Baked Ziti to Kale Salad Bowls, there is something for everyone when you order holiday catering from Cafesano. Everything at our Italian restaurant is made fresh to order, so your guests will enjoy fresh and flavorful food that tastes good AND feels good! You’re likely dreading spending the entire holiday season feeling deprived of all the food-related fun. What if we told you that you don’t have to? As long as you’re ensuring that the majority of the food you’re putting in your body is nutritious and balanced, you’re allowed to indulge a bit. The more meals you enjoy that are full of healthy foods, such as those at Cafesano, the less you’ll feel the need for sweets. And when you do get a hankering for a cookie that you just can’t say “no” to, you won’t feel guilty indulging in one or two, because you’ll know that you’ve been eating healthy the other 95% of the time. If you’re looking for fresh, flavorful Mediterranean and Italian foods to keep you feeling good throughout the holiday season and beyond, look no further than Cafesano. With catering, take-out, and dine-in foods that will leave you feeling nourished, energized, and guilt-free, Cafesano is sure to help you really feel the holiday spirit. This entry was posted in Northern Virginia's Best Restaurants by Cafesano. Bookmark the permalink.